In all the flood of crocheted slippers and sock-shoes we have forgotten the men in our lives. Here is a correction of that omission. These slippers will be a comfortable thing for the man in your life to slip into after a hard day at work. They will not be difficult to make, the pattern is easy and works up quickly because of the thick yarn used, and will definitely work as an accelerant for your outstanding honeydo list (and we all know that these are always behind the curve). 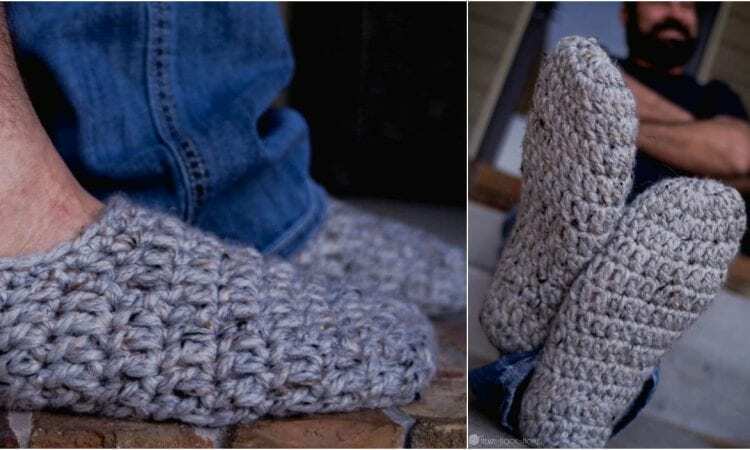 How to Crochet Sandals using Flip Flop Soles?